Cannetics exists to provide everything a hemp grower needs for a successful start to their crop. We combine deep farming experience with the latest scientific techniques, creating genetic profiles designed to maximise your profits. With our own greenhouses, we grow our clones and transplants in their optimal conditions, so that they’re ready to thrive when put in your ground. We’re growers too, and nothing makes us happier than when you succeed. We’ll help give your crop the best possible start, and set you up for success. Brackish Solutions is Cannetics’ parent company, and one of South Carolina's first industrial hemp companies. Their expertise is in hemp farming and supply for both industrial applications and medical-grade CBD production. City Roots is an organic, urban farm in Columbia, SC. Their greenhouses are where the magic happens for our clones and transplants. Cole is a farmer with a dream to revitalize agriculture and farming communities in South Carolina. His 19-year career with Rex Thompson Builders brings expertise in real estate and land development, customer service, and sales to his work with industrial hemp farmers in the state. Josh’s experience in the cannabis industry began in 2007 when he moved to Colorado to work with the Stanley Brothers to open retail stores supporting the growing hydroponic industry. Bringing his experience from opening a ceramic tile business in SC, he quickly recognized the opportunity for meeting the needs of the community and created a grower-patient co-op, which led to the opening of Sky High Grow Supply. With his experience in wholesale distribution and product development, he grew his company into a successful business that he sold in 2011 in order to move back to SC for family. After managing White Crane and Rigging in SC, he returned to his roots in the hemp industry and co-founded Brackish Solutions with his partners in 2016. In 2017, he founded FarmaRep, a business passionate about industry transparency and the education of consumers in the growing hemp industry. Mark McClam has a proven track record as successful entrepreneur with a background in healthcare sales leadership, healthcare recruiting and real estate development. Co-founded M&M Properties in 1990 which specialized in multi-family, commercial and build to suit urgent care facilities across the SE. Founded and was President of Mark Medical Search a national executive search firm specializing in the medical field. One of the founding members to start the US division in 2010 for a worldwide healthcare leader. Responsible for go to market strategy, setting up and growing US sales channel and contracts with IDN’S/GPO’S. Grew sales division to $52 in annual revenues and combined revenue of $125 million in highly competitive market in less than 6 years. After first pursuing a career as an architect, McClam found his true calling as a farmer in 2009. He is the co-founder of City Roots Farm, a certified organic farm in Columbia, South Carolina. City Roots specializes in industrial hemp, microgreens, culinary mushrooms, cut flowers and organic vegetables. The farm hosts numerous events and agritourism activities with a focus on farming education for urban youth. Eric is a Vegetable Growers News 40 under 40 farmers in the nation, US delegate to Slow Food International, former board member of Carolina Farm Stewardship Association, and frequent presenter at farming conferences around the country. 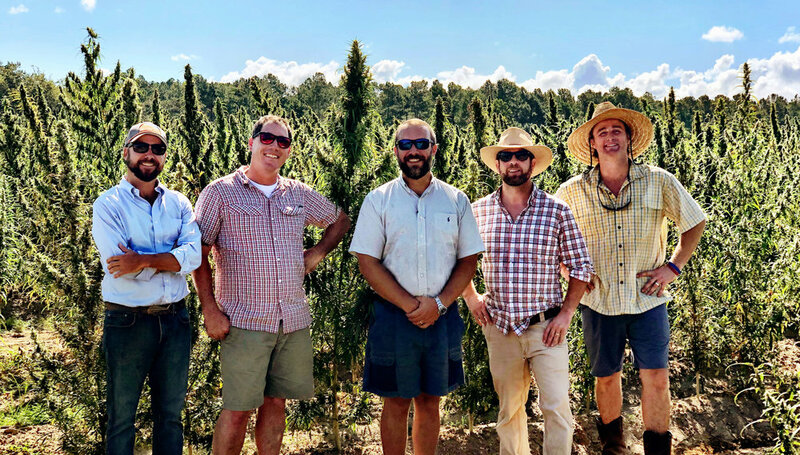 Robert has found his calling in the industrial hemp industry after a career in construction and the South Carolina produce industry working for Senn Brothers. With his roots in Lake City, SC, he experienced first-hand how the loss of industry and sustainable agricultural affects families and communities. He brings vision and drive together with his work experience to ensure a better future for South Carolina farmers through industrial hemp production. Jason is an entrepreneur with a background in finance and project management. Following in his father’s footsteps, after a decade working for the Department of Defense, he returned the agricultural sector after being nominated to serve as Chair of the Strategic Partnership Committee of the State Extension Advancement Council in 2016. 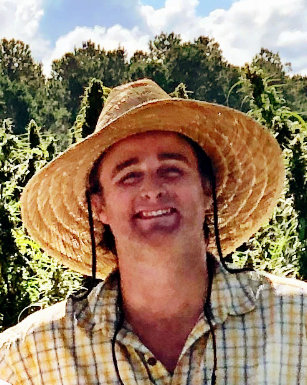 Since earning his MBA from Clemson University in Entrepreneurship and Innovation in 2016, he has worked to become a leader in industrial hemp production in South Carolina by joining forces with his partners and pushing through the key legislation that provided for the inaugural Industrial Hemp Pilot Program in 2017. Miles is a lifelong grower and plant enthusiast. He’s a student of the French intensive method, and of living soil systems. 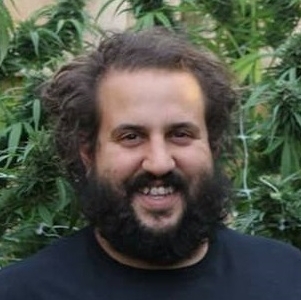 He’s been extensively involved in the breeding and cultivation of cannabis since the industry’s early stages in Colorado, which has primed him for the broader hemp industry’s emergence after 2012. Cannabis genetics remains an ongoing focus on Miles' farm in Colorado where the Wulf variety was developed and outcrossed. Miles’ Colorado farm is also home to production of a biological plant based nutrition system that Miles has created. The preparations provide increased crop resistance to pathogens, improve overall soil health and are made from nutrient rich plant matter, primarily hemp.